My Tooth Gets Dark. How Can I Get My Smile Back? It is common for teeth to change color before or after a root canal treatment. 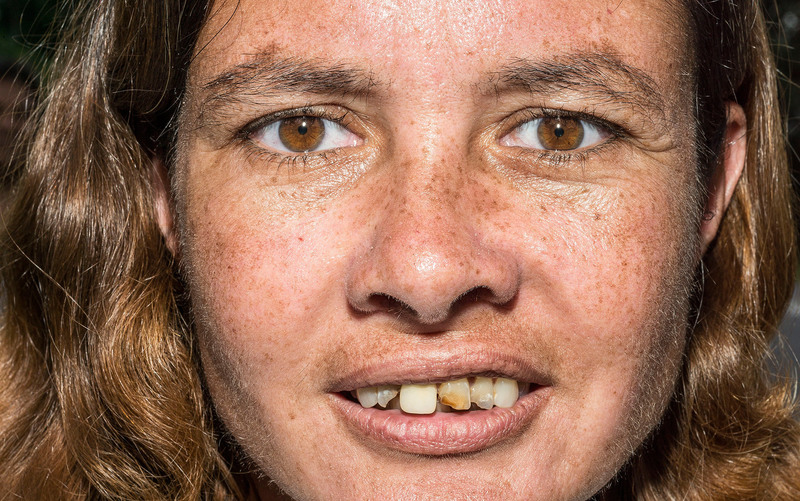 Usually, after the trauma pigment deposited from the nerve within the tooth can cause the tooth to turn gray or brown. The process of calcification inside the tooth can cause it to turn yellow. The treatment depends on the type and the intensity of the color change. The dentist can correct the color by performing dental bleaching on the damaged tooth. 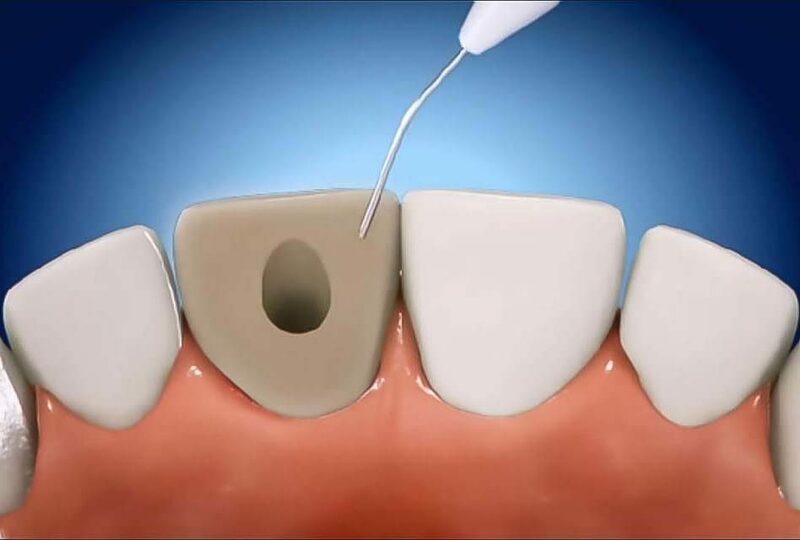 The technique involves your Dentist or Specialist Endodontist placing a small amount of extremely strong dental bleaching solution inside the tooth where the nerve was. The dentist will place it through the small hole in your tooth which was used for the root canal. Then, the dentist will cover the hole with a temporary composite filling to seal in the dental bleaching solution for 3-4 days. You will see that the tooth starts to lighten almost immediately. Your dentist will need to replace the dental bleaching solution 2/3 times to regain normal color of the tooth. Then, a permanent filling will be placed. A procedure of internal dental bleaching is very stable and it works best for teeth that have changed color brown or gray. But, it is difficult to attain a shade which will match with your other teeth. The dentist can offer to use a crown or veneer to cover the tooth which changed the color. 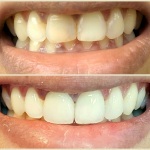 A ceramic veneer is a good option for the tooth slightly to moderately dark. Ceramic veneer is a thin ceramic shell which will be bonded to the tooth to change its shape and color. 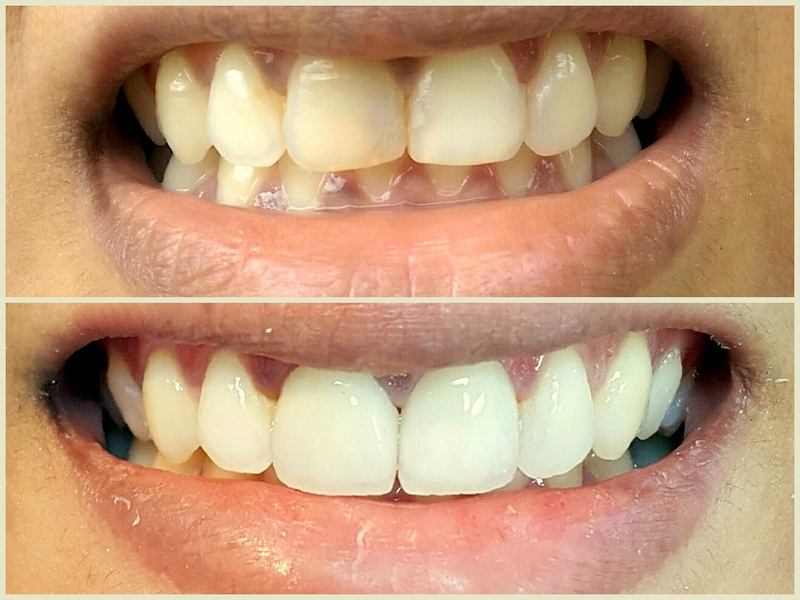 If the tooth is extremely dark the crown will be advised as a treatment option, as the color of the dark tooth can be visible through the thin ceramic veneer. Darkness from the root can be visible slightly through the gum tissue. 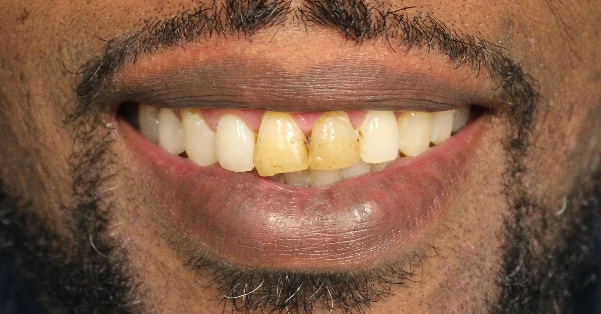 In this case, the internal tooth bleaching with or without a restoration will be a treatment option. Contact us to know how we can help to bring your smile back.